The edition is limited to fifteen signed & numbered portfolios, each containing twenty toned 5.50 x 6.56 in (13.8 x 16.6 cm) gelatin silver prints using Polaroid Type 55 P/N negatives. Archival printing on Zone VI Billiant & mounting by Dennis Letbetter. There is one original 4 x 5 in (9 x 12 cm) color Polaroid Type 59 print. 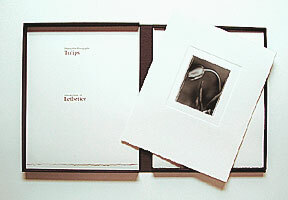 The images are mounted on 14.75 x 18.25 in (37.5 x 46.5 cm) embossed Rives BFK. The typography & printing by Jack W Stauffacher of the Greenwood Press, handset in Meridien types. 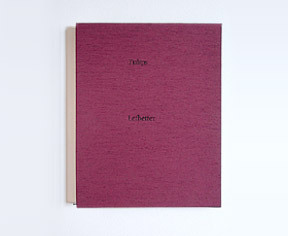 Portfolio boxes by Klaus-Ullrich S Rotzscher.